Need Pampers? Babies R Us Has A Great Offer! Disclosure: this is a compensated post. All thoughts, opinions and baby baking are purely my own. Here we go again, thinking about all things baby. Except this time, it isn't from the excitement of the first time baby, the joy of completing your family with number two, but the fear, the true-honest-to-goodness-fear of adding a third child to the mix. We are happy about the new bundle of joy and excited for all the changes but honestly, the cost of having two still in diapers is a bit worrisome. Lucky for us, we've been great on looking up deals on our favorite nappies and I thought I would share because really, it is too good not to. From 8/1 to 8/31, Babies“R” Us is offering you a savings of $10 when you purchase any value box of diapers and a value box of wipes. 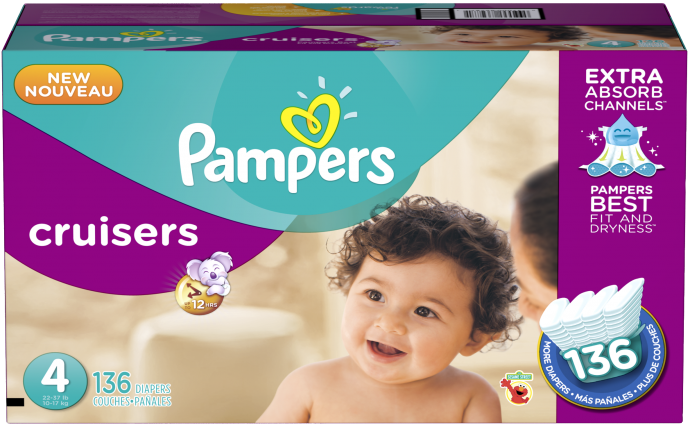 I'll be sharing with you a review of the Pampers Cruisers on my 17 1/2 month old, super active monster for you to check out before stocking up. Oh, and you are welcome.